All single or family residences are allowed curbside recycling and garbage pickup. Because the city operates curbside pickup, there are no public garbage dumpsters. The city has several ordinances in place that relate to dumping, trash placement and dumpster receptacle usage. Individuals who illegally dump items at city dumpsters are not only creating an unsafe environment, but also breaking the law. The city is on a campaign to apprehend violators illegally dumping items. 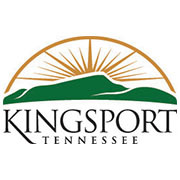 “These ordinances have been established not only to keep the public safe and the city environment cleaner, they also serve to help keep the city costs down,” said Melanie Adkins, Kingsport code enforcement officer. Residents should be aware that Tennessee Code Annotated (TCA) defines and prohibits illegal dumping (criminal littering), a misdemeanor that carries a stiffer penalty than city ordinances. Anyone with information about illegal dumping, such as tag numbers or vehicle descriptions, should report it to 423-224-2633. For residents that have items that won’t fit in their garbage can and can’t be recycled, the city landfill is an option. The landfill is located at 1921 Brookside Drive and is open Monday through Friday from 7:30 a.m. to 4:00 p.m. Saturday hours are 8:00 a.m. to 12:00 p.m.
For more information about recycling or the landfill, please visit the sanitation department web page.